Avg Temp:83 but my thermometer said 105! 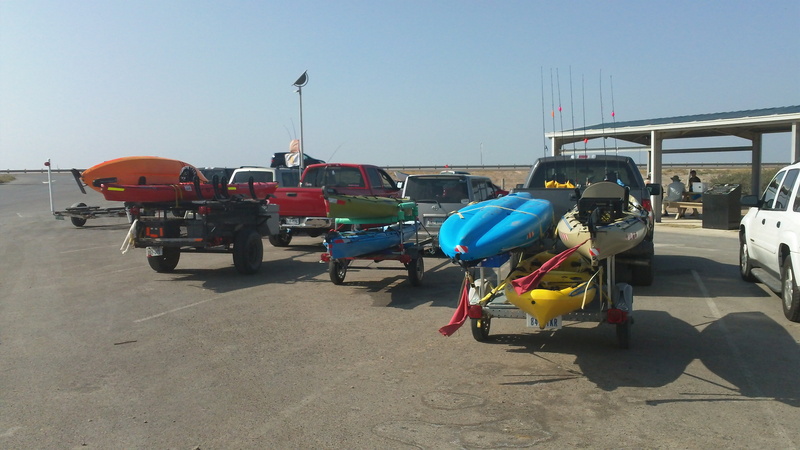 My buddy Jesse and I arrived at the Jaime J. Zapata Memorial Boat Ramp at 10:30am. We were on the water by 11am and were quickly trying to get a bearing as to where to go. 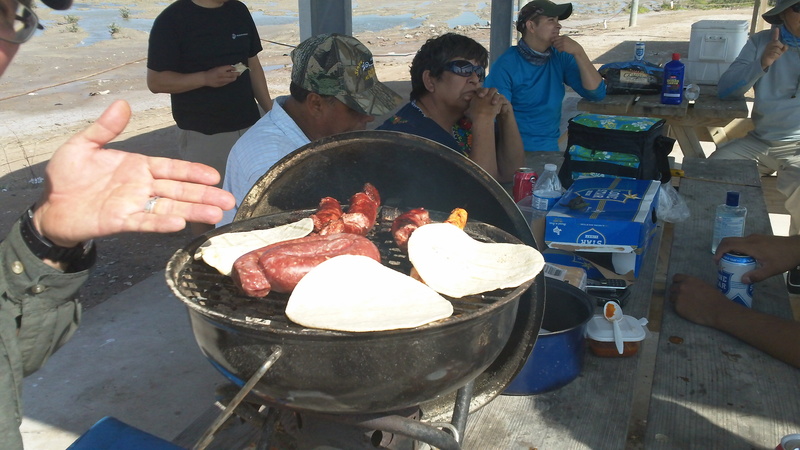 This was our first time to this area and we were lured there by stories of monster trout and post-fishing bbqing with our http://www.texaskayakfisherman.com L.L.M crew. San Martin Lake is located off HWY 48 next and is a small salt-lake fed by the Brownsville Ship Channel. It is know for its shallow waters,dangerous oyster beds and great fishing. Instantly we discovered that there weren’t options in regards to easily fishable locations. I brought my depth-finder to help me understand this new spot. 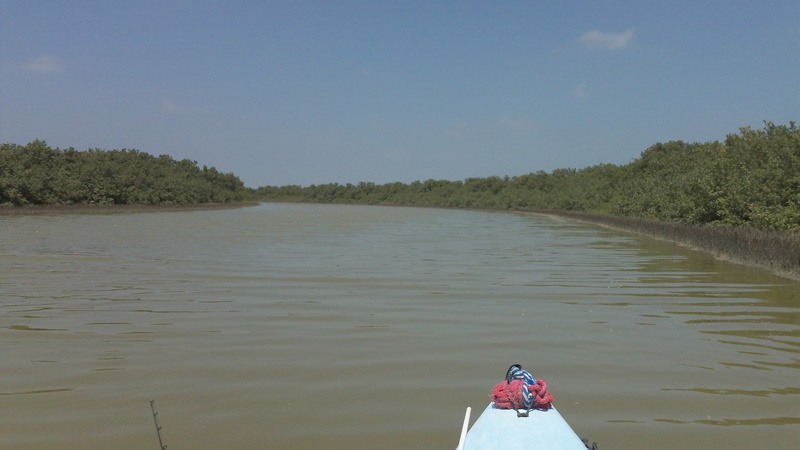 There is a central channel which is about 5-3 ft deep which extends out into the small salt lake in a Y. On the edges of the channel in the 1-2 ft deep shallows are oyster beds. These beds pop up in patches and are dense in some spots. The whole shoreline is mangroves with some small coves. So yea perfect redfish territory. I eventually found a small inlet that looked promising and I casted and casted with no hook ups. I threw only two lures. A Kelly Wigglers Ball Tail in Plumtruse and a Mann’s Baby 1 Minus with a Gamakatsu 1/0 Single hook. Jesse picked a small red drum on a Kelly Wiggler paddle tail in red with white tail using an Owners 1/8oz swim bait hook. His rig up was perfect for bumping off the shells and not getting snagged. Unfortunately I skunked out on this trip but it sure was alot of fun discovering new territory,hanging out with new/old friends and getting some salt water therapy! Hospitality brought to you by Zman! Delicious as always.